Dynamic wrinkles are creases formed by the movement of muscles of facial expression. The more emotion you show, the deeper these wrinkles and lines are likely to be. While you may have earned every one of your worry lines, you don’t have to show them anymore. Now, thanks to Botox® , Baton Rouge residents can remove unwanted wrinkles such as worry lines, frown lines, and crow’s feet can be a thing of the past – all without the need for painful surgery or a prolonged recovery period. If you live in Baton Rouge or just outside of this area come visit us today as we are the number one provider in Louisiana for Botox®. Expression lines, or dynamic wrinkles, are creases in the skin caused by contractions of the underlying facial muscles every time you smile, laugh, or frown. Baton Rouge residents prominent expression lines in the upper one-third of the face often connote such negative emotions as anger, fear, and anxiety. The more emotion you show, the deeper these lines and creases are likely to be. Botox® is a purified protein produced by the clostridium botulinum bacteria. Although Botox® is a toxin, there are no systemic side effects. This is because, for the treatment described, it is used in extremely small amounts and does not spread throughout the body. For Baton Rouge area residents seeking to remove those annoying expression lines. Botox® is used in a procedure known as Cosmetic Denervation to relax the overactive facial muscles responsible for prominent expression lines such as worry lines, frown lines, and crow’s feet. Botox® dramatically improves the appearance of these lines by blocking the nerve impulses to these overactive muscles, making them unable to contract. As the muscles relax, the lines disappear. Desirable facial expressions remain unaffected. Botox® does not affect sensory nerves, so there is no numbness in the area of the injection. How is Cosmetic Denervation performed? This technique involves injecting a very small amount of Botox through a tiny needle precisely into the overactive facial muscles responsible for expression lines. Because the needle is very fine and only a small amount of liquid is injected, the discomfort associated with treatment is minimal. Many patients compare this sensation to a mosquito bite. No sedation or local anesthetic is required. Patients can resume normal activities immediately following treatment. This procedure is available at our Louisiana locations. Botox® has been safely and effectively used in ophthalmology for over 20 years, and for wrinkle therapy since 1992. Our office in Baton Rouge has been using botox® for many years to help with expression lines. In the amounts used for cosmetic applications, the only possible complications are temporary and localized to the area of injection. The most common side effect of treatment is a small bruise at any or all of the injection sites. The degree of bruising varies from individual to individual, but is rarely of any significance. Any bruising is easily covered with makeup until it resolves, usually in a few days. Patients occasionally complain of a mild headache lasting for several hours after treatment. Uncommonly, the Botox® can migrate to nearby muscles. In these cases there can be a temporary drooping of an eyelid or mild asymmetry of facial expression. The risk of this depends upon the areas being treated. Because the effects of Botox® are completely reversible, any side effects are temporary. Allergic reactions are rare. Contact one of our specialists at our Baton Rouge office today. Calling all Baton Rouge residents, if deep expression lines make you look older than you feel, Cosmetic Denervation with Botox® can smooth these out and give you a more youthful and pleasant appearance. Initially, the results of Botox® treatment last an average of 3-4 months. With repeated treatments, we find that many patients are able to go longer and longer between treatment sessions to maintain the effect. This seems to be due to a gradual weakening of the overactive muscles, resulting in a more balanced facial tone. Cosmetic Denervation with Botox® cannot improve wrinkles due primarily to aging and sun-damaged skin since they are unrelated to facial movement. Botox will not improve sagging skin, nor will it replace the need for a facelift, brow lift, or blepharoplasty. Botox® is most useful for treating frown lines, worry lines, and crow’s feet. This technique should not be used for treating facial expression lines in the lower face such as smile lines and lip creases. These areas are best treated with Collagen Replacement Therapy or fat injections. 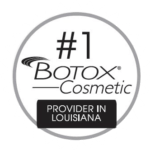 Williamson Cosmetic Center is proud to offer Louisiana Botox® and other cosmetic services. To learn more call us today! 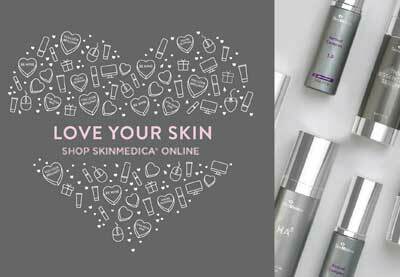 To learn more about age-defying skin care products at the Williamson Cosmetic Center, visit our online store, below!